Just a quick thanks to all involved for a great lunch today. The catering was awesome once again. Great turnout of families too, and good to see lots of cool cars there despite the gloomy weather forecast. As it turns out, the rain stayed away. I love that Santa drives a CHEVY! hahaha. PS. The new club marque looks BLOODY AWESOME! Thanks to all for a fantastic day. Big thanks to Santa and all his helpers. The lollies were a big hit with the kids and adults alike. Great Day !! Good to see everyone, nice lunch really enjoyed it,we had a Awsome Day ! enjoyed the afternoon, food really good, apologies for being late, marquee really stands out, made it very easy to find the club! 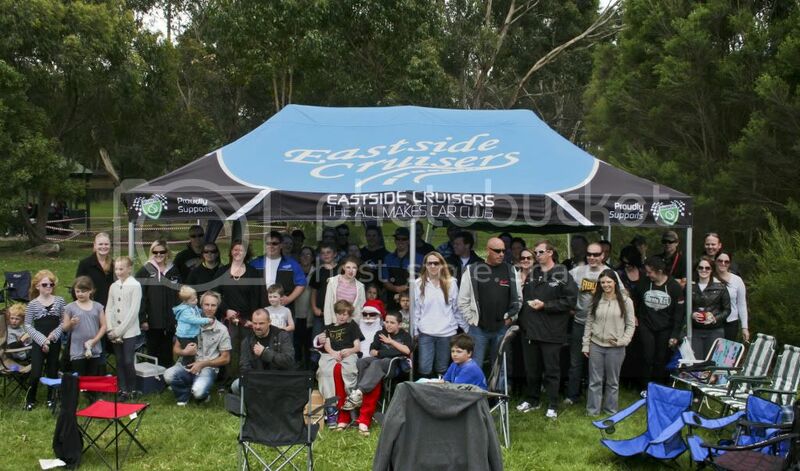 as everyone mentioned, it was a great day and an awsome turnout. great to catch up with everyone, and lunch was great. also loving the new age cool santa in his thongs and sunnies rocking up in a chev. classic!